A new book from #1 New York Times bestselling author Jenny Lawson, destined to be a classic—part therapy, part best friend, part humor, part coloring book. 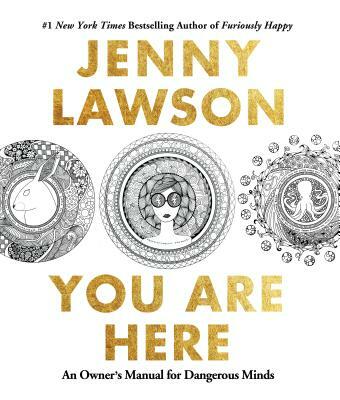 You Are Here is something only Jenny could create. A combination of inspiration, therapy, coloring, humor, and advice, this book is filled with Jenny’s amazingly intricate illustrations, all on perforated pages that can be easily torn out, hung up, and shared. Drawing on the tenets of art therapy—which you can do while hiding in the pillow fort under your bed—You Are Here is ready to be made entirely your own.